The Hamilton Book Awards, underwritten by The University Co-operative Society, will be made to faculty or staff members who, in the preceding calendar year (January 1, 2018 – December 31, 2018), have published the best book-length publications as determined by a multi-disciplinary committee of scholars appointed by the Vice President for Research of The University of Texas at Austin. Published works including scholarly monographs, creative works (e.g., novels and anthologies of poetry), exhibition catalogues, textbooks, and edited collections may be nominated. Books must be published between January 1, 2018 and December 31, 2018.  Current University of Texas at Austin faculty (tenured, tenure track, senior lecturers and lecturers) and full-time staff are eligible to compete for these awards. UT students are not eligible for this program. Two (2) or more substantive readers’ reports from knowledgeable scholars who evaluated the book manuscript for the publisher. Substitute materials are allowed if readers’ reports are not available, but include an explanatory note. The required book copies should be delivered to the Office of the Vice President for Research (FAC 426, Mail Code: G1400). The electronic portion of the nomination packet should be uploaded via CompetitionSpace. Complete nomination packets (books and electronic submissions) must reach the VP for Research by 5 p.m. on Wednesday, January 16, 2019. No late entries or additional supporting material can be accepted, to be fair to all applicants. Authors of all nominated books will be honored at an awards ceremony hosted by the University Co-operative Society in Fall 2019. View current and past years’ Hamilton Book Awards Winners. View current and past years’ Hamilton Book Awards Nominees. These awards are named in honor of Professor Robert W. Hamilton, the Minerva House Drysdale Regents Chair in Law at The University of Texas School of Law. Professor Hamilton is the former chairperson of the University Co-op’s board of directors. The Hamilton Book Awards program is underwritten by The University Co-operative Society. For more information, contact honorific-coop-hamilton@austin.utexas.edu or 512-471-2877.